An unbiased person must believe that VPN service providers should proudly co-operate with especially good governments and enforcement agencies to catch the true criminals who are truly bad for the human beings, bad for the society. But at the same time, an unbiased person also must believe that all VPN service providers should try their best to protect the privacy and anonymity (as possible as they can manage) of their users, and never play with user’s privacy and life by telling false promise or misleading words of privacy and anonymity (like Best No Log VPN, Best Zero Logs VPNs, Best Logless VPN, Best Anonymous VPN etc etc) with a view to mere marketing their VPN services and thereby earning revenues. Because, this false promise may be dangerous for some VPN users that society really needs a lot who put themselves as well as their families & friends’ lives at the borderline of risk in upholding truth online through social media, blogs, forums, news media etc against different kinds of organizations that many times go to astray become social criminals even (very sorry to say) including corrupted & polluted governments, politicians, enforcement agencies, media, Mafias, terrorists, kidnappers, killers, hackers etc. All aware people might know of what the worst situations might go over the lives and properties of those VPN users if their identities are revealed by the VPN providers that give them promise to make them anonymous online!!! This is why, before purchasing any VPN plan, it is very much important to know exactly what level of privacy and anonymity a VPN service provider is truly able to manage for their users. With this view in mind, I asked some privacy related questions to some professional and renowned VPN providers to know the level of their privacy who claim they don’t store user’s identifiable logs. 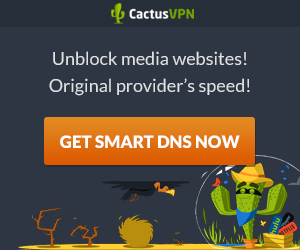 So find out who are the best no log VPN services. Some VPN providers responded to my emails regarding the above 12 questions which I have published below for my visitors. Note that all the following answers are solely from the representatives of the support team of respective VPN service providers, in their own words. 3-Ans:- a) – VPN Nodes are Rented Servers. b) Encrypted disks, boot passwords, locked down file permissions, locking out un-required devices like usb ports etc – Hosting providers do not need access to machines to capture traffic, because inbound traffic is encrypted and outbound traffic isn’t it wouldn’t matter if the provider had access to the machine or not, they could simply capture the traffic on a network port of the switch itself – But they would see the same thing as if they were connected to the machine itself, encrypted inbound and decrypted outbound. 4-Ans:- a) We own and operate the hardware in a Co-located environment. b) Database server connected to our internal network. c) Built in house – www.vpnsecure.me/members d) There is a plethora of practices in place, such as CSRF, A+ SSL, WAF etc, however the password is RSA 2048bit encrypted within our database which is managed by an off-net server. 9-Ans:- No logs are stored, [www.vpnsecure.me/tos] — You will only find no users on VPN servers from VPN providers that have very little customers, but this is a suitable concern but would not affect our users. 10-Ans:- We use third party servers, But they are resolvers to our own DNS Servers, therefore the source of the IP is always the IP of our servers and not the end users. 11-Ans:- We use zopim for live chat – this isn’t linked to any user accounts – we use our own in-house hosted support system. 12-Ans:- a) We would comply and provide them with any information that we are able to pertain based on the information they were able to provide us. b) Due to our policy of no logging, if the incident is not currently live in progress in general we would not be unable to provide information. 1-Ans:- a) We’re based in Denver, Colorado, USA. b) Negative. There are no mandatory data retention laws that apply to VPNs in the USA. 3-Ans:- a) We lease dedicated servers from a range of providers around the world. As we have over 3300 servers in 24 countries it would be impossible to maintain them all ourselves. b) We closely monitor legislation around the world in addition to actively monitoring the status of our servers. If we feel the security and/or privacy of our customers is ever threatened, we will remove our presence from that region. We have previously pulled out completely from Russia due to legislation changes and we recently (this week) temporarily pulled out from Germany as we discovered that our datacenter provider was providing logs and such to law enforcement (though no PIA traffic was at risk as we encrypt everything). Whilst a hosting company could in theory take logs and/or snapshots, it would provide no data as everything is encrypted. 4-Ans:- a) Our server is hosted on our own server and is completely separate from our datacenters. Access is extremely limited and is via IP whitelist and username/password. b) Account information is stored on our own server which again is via IP whitelist and username/password. c) The Account System is custom built by our in house developers. d) IP Whitelist (1 per location), Username & Password. We also do not allow remote access except in specific cases (like myself but I have 20+ years of being a network engineer building and maintaining encrypted and secure networks). 5-Ans:- We frequently need payment identifiers to locate accounts. However we only receive transaction IDs from our payment processors (Paypal, Bitpay, Stripe etc). Transaction IDs are only accessible to extremely limited people (our Finance Team). Whilst I understand your concern, at worst all the financial information actually does is confirm that a specific person (and they could sign up with false details – I see that a lot) subscribes to our service. I have personally seen lots of people use fake names, temporary email addresses and pay either by Bitcoin or Giftcard in order to secure their anonymity. 6-Ans:- No. We do not log IP addresses. The account system is held on a secured server which requires IP whitelist, username and password and being in an authorised location to access. 7-Ans:- No, we do not store usernames, connections, IP addresses, timestamps or any other data. To date we are the only VPN provider who can prove our no logging policy through the use of court documents. 8-Ans:- No, we do not store logs. 9-Ans:- It would not be possible to identify a user on our servers due to encryption and obfuscation which is employed. If 1 person was using a standalone isolated server it could be assumed that that person was the output traffic, however due to the encryption and obfuscation and the fact that none of our servers are isolated, this would be impossible. 10-Ans:- We operate DNS servers that function with a zero logging policy. This ensures our customers privacy. 11-Ans:- Our support portal utilises Zendesk, a 3rd party ticketing software. This holds only the information that the customer provides. Whilst at a minimum this would be an email address, sometimes it contains technical information, real name or financial transaction ID. This is only the information which a customer provides in order to resolve a technical or account issue. Access to Zendesk is done from our office in Denver, CO with an individual account or in extremely limited cases remote access. In the cases of remote access, 2FA (Two Factor Authentication) is required. Based on historical evidence, we were able to provide confirmation that the IP address which was requested was owned by Private Internet Access. This was mentioned in the court documents that I referenced earlier. 1-Ans:- a) We fully operate in and fall under the law of the Republic of Seychelles, but our staff comes from the following countries: Argentina, Belgium, Bulgaria, Germany, Laos, Philippines, Russia, Seychelles, Spain, Switzerland, Thailand. There is no mandatory data retention law under its jurisdiction. b) No, we do not keep any log at all. We do not log IP or location, nor anything such as your browser details. Nevertheless, you must be aware that our payment gateways will log your IP, location and any information you provide to them. It’s your call to decide what you should or should not release out. 2-Ans:- No, we are not affiliated with any other companies. We are a non-for-profit operation made up of brilliant & skilled individuals who are located throughout the world and collaborate in a digital manner. 3-Ans:-We use of a mix of collocations, dedicated servers and virtual private servers to make up our network. We work with more than 300 hosts and data centers throughout the world. 4-Ans:- Everything is in-house. We host our own WHMCS instance for billing and support. We do not keep any logs internally. The only thing we log here is your e-mail address and your purchase details (your invoices linked to your e-mail and your product details). We do no log your activity on our proxy (neither the authentification nor the traffic). We don’t even know whether you use our proxy or not. We do not log IP or location, nor anything such as your browser details. Nevertheless, you must be aware that our payment gateways will log your IP, location and any information you provide to them. It’s your call to decide what you should or should not release out. 5-Ans:- No, we do not ask our users personal information. The only thing we log here is your e-mail address and your purchase details (your invoices linked to your e-mail and your product details). 6-Ans:- Customers will need to use their email address (or a fake email address, free to choose) to access their account panel. They will receive a separate login credentials to connect to our VPN network. We do not log IP or location, nor anything such as your browser details. 7-Ans:- No, we do not keep logs at all. We also have an option to kill accounts and turn them into completely anonymous tokens https://proxy.sh/panel/knowledgebase/55/Tokens) with no panel or membership link at all, for the most paranoid customers (in the positive sense of the term). 8-Ans:- No, we do not. 10-Ans:- We provide our customers our own DNSCrypt instance. They also have the freewill to use third-party DNS servers. 11-Ans:- No, we do not. 12-Ans:- We publish it to our transparency report and also open a network alert about the affected servers that will come to see an intervention from law enforcement authorities. In case we cannot publish it, we’ll use our warrant canary to signal our members about interventions.